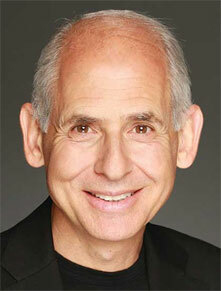 Daniel Amen is a life-long Christian and graduate of Oral Roberts University School of Medicine. 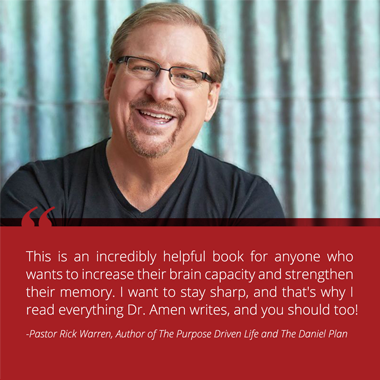 He is a double board-certified psychiatrist and multiple NY Times bestselling author, with such blockbuster books as Change Your Brain, Change Your Life, Healing ADD, Change Your Brain, Change Your Body, and The Daniel Plan, co-authored by Pastor Rick Warren and Dr. Mark Hyman. In November 2016, he and his wife, Tana, published The Brain Warrior's Way. Dr. Amen's research team has published more than 70 scientific articles on a wide variety of topics related to brain health. He is the lead researcher on the largest brain imaging study on active and retired NFL players and was a consultant on the movie, Concussion, starring Will Smith. Last year, Discover Magazine named his brain imaging work for psychiatric diagnoses as one of the top 100 stories in all of science. This breakthrough book contains answers that you need from Dr. Daniel G. Amen, the leading medical doctor who has studied the brain and brain functions using the most advanced technology for decades; The leader in healthy brain function information. 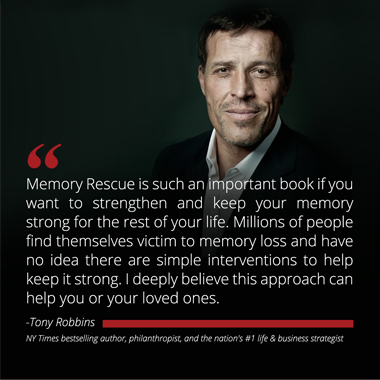 Everyone needs to understand this proven fact: memory loss is reversible. You can deter the advancement of Alzheimer’s disease using the insight in this book. You can be the best person you were meant to be when you have a strong memory and a bright mind.